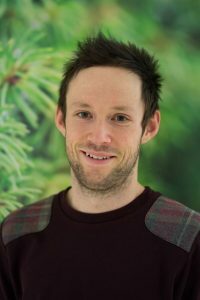 A team of researchers from the NIHR Leicester Biomedical Research Centre, UK – a partnership between Leicester’s Hospitals, the University of Leicester and Loughborough University – has found new evidence to suggest that longer periods of sedentary time (defined as any sitting/reclining activity with low energy expenditure) are more strongly associated with the amount of fat deposited around internal organs. The study, which was published in the journal, Obesity, took 124 participants at high risk of type 2 diabetes and measured the length of time they spent sedentary over a period of 7 days using accelerometers fitted to their waist. The research team also scanned the participants using magnetic resonance imaging (MRI) equipment to accurately measure the amount of fat in the liver, inner (visceral) and outer (subcutaneous) fat layers, and total abdominal fat. Even when accounting for age, ethnicity and physical activity levels, the study team found that the longer a person remained sedentary during the day, the higher the levels of liver fat, inner (visceral) fat and total abdominal fat. The link was even stronger for participants who did not meet Public Health England’s recommendation of 150 minutes of moderate intensity physical activity per week. Dr Joe Henson, Research Associate at the University of Leicester, led the study. He said: “We know that spending long periods of time sedentary is unhealthy and a risk factor for chronic illnesses, such as type 2 diabetes and heart disease. Likewise, the amount of fat deposited around our internal organs may also predispose us to these diseases.